A unique and colorful puzzle game! 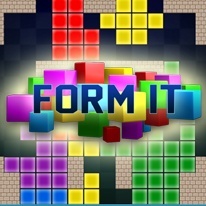 A large and bright game that includes multiple levels of various complexity. Fill the empty cells with figures along the edges of the field. The level is complete when there are no empty cells on the field or when the empty cells left are not next to each other. To get more points try to arrange the figures so that there are as many cells of the same color next to each other as possible. Form It now!